The U.K. is enjoying one of the hottest summers on record, however it isn’t just people enjoying the heat. 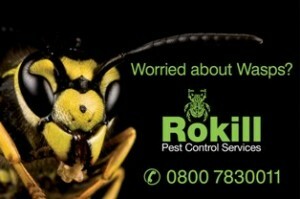 Insect pests thrive in warm conditions and Rokill are being inundated with calls to treat wasps particularly in Hampshire and Dorset. 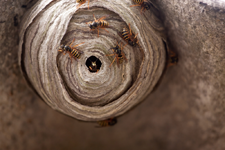 Wasps build their nests anywhere that is suitable: hedgerows, attics, sheds and holes in wall cavities are all suitable locations. 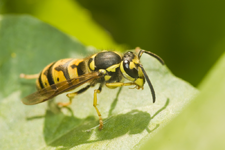 At this time of year numbers can approach 10,000 individuals in a single nest, therefore DIY treatment of wasps is definitely not recommended. 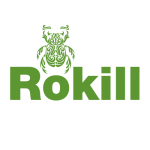 Rokill technicians are fully equiped with beekeeper’s veils and gloves, and specialist equipment to treat the wasp nest safely and effectively.